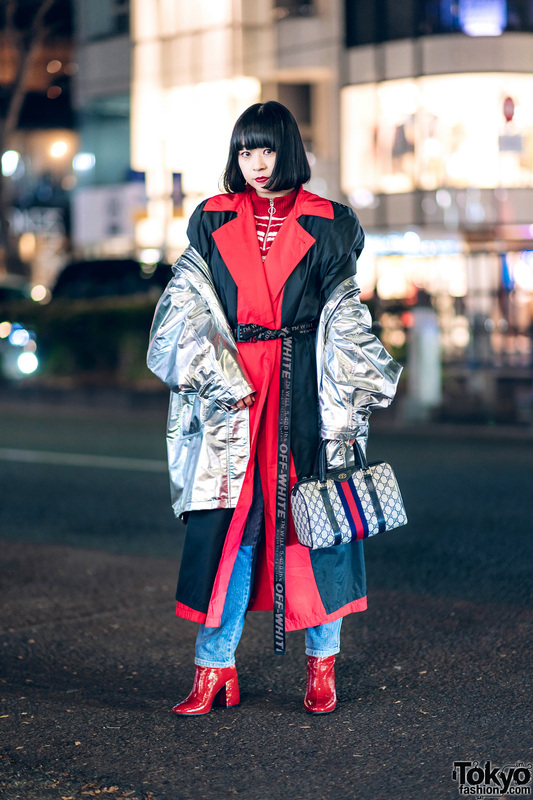 Sushi shop employee sporting a chic look with layered outerwear, denim jeans, and a logo print handbag on the Harajuku street. Harajuku girl in a retro streetwear style with tie dye shirt, plaid, patchwork flared jeans, and ruffle slip-ons. 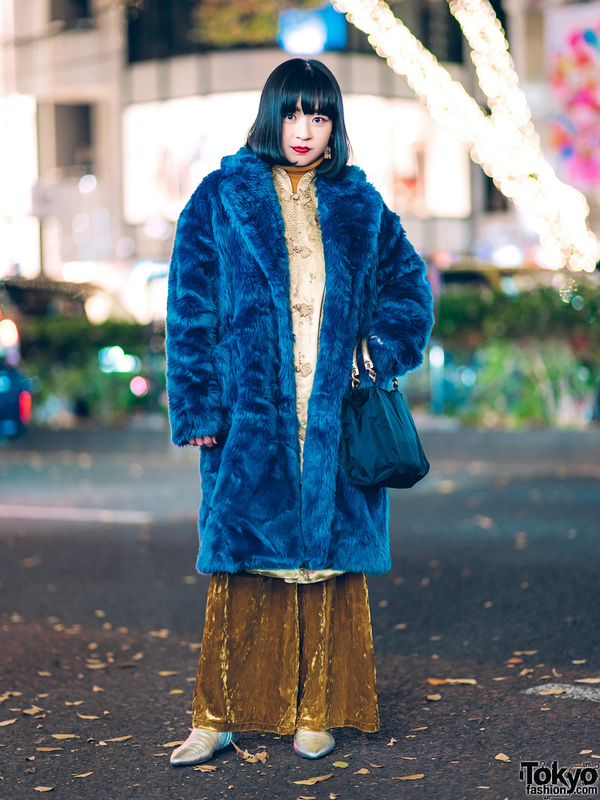 Textured winter streetwear style by 28-year-old restaurant worker while out on the Harajuku street. 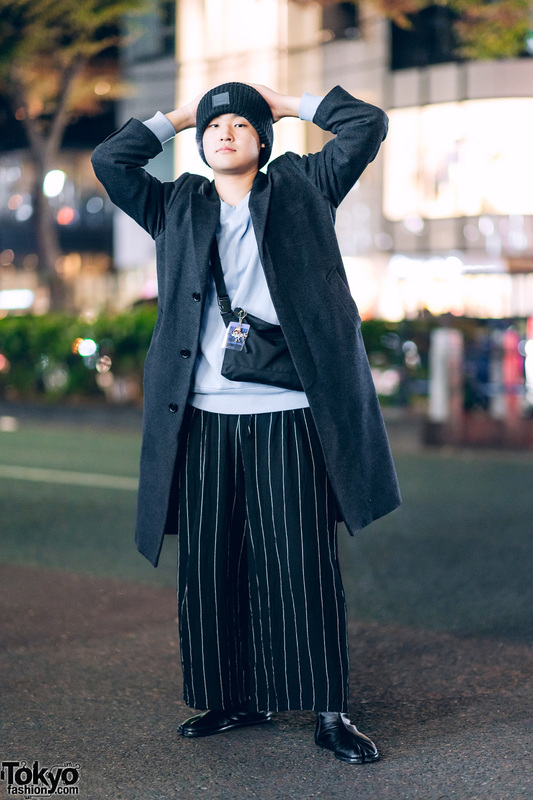 Japanese student wearing a long coat, light grey sweater, wide leg striped pants and tabi boots in Harajuku. Japanese trio of girls all dressed up in plaid streetwear styles while out and about in Harajuku. Japanese students sporting plaid & jacket fashion styles while out and about on the Harajuku street. 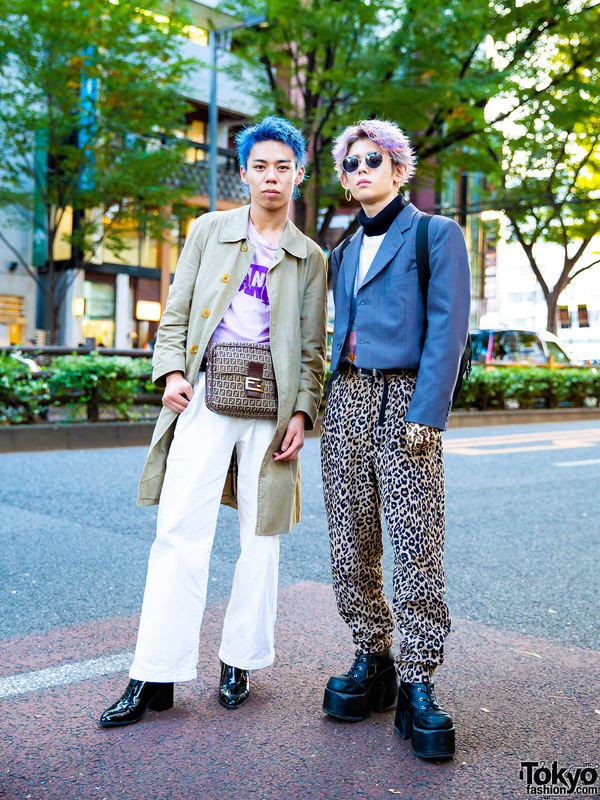 Harajuku guys with colorful hair and sophisticated street styles. Japanese guy in an all black ensemble with floral vest and platform shoes in Harajuku.